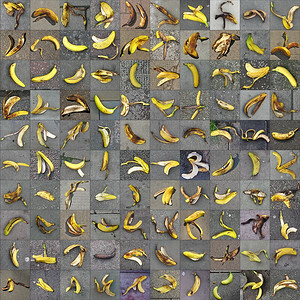 It's surprising how many bananas you see laying on the pavement. On their own they seem like a carefully placed trap for the unsuspecting pedestrian, the punchline to a crude visual joke. 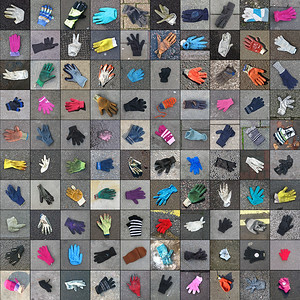 However, once they have been collected in this way, they appear as hieroglyphics, mysterious roadside signs waiting to be discovered and translated. A single glove on its own appears a little forlorn. A twin that has become accidentally separated. I feel a little sad each time I see one and hope that it may soon become reunited with its sibling. 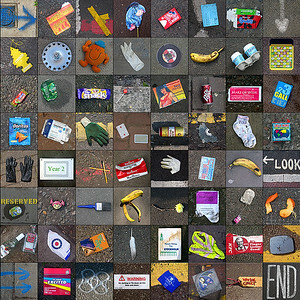 These found objects are presented in 64 squares - the same as a chessboard or a snakes-and-ladders board. So, if you want to play along then start at the top left and work your way down, but watch out for those pesky banana skins.. 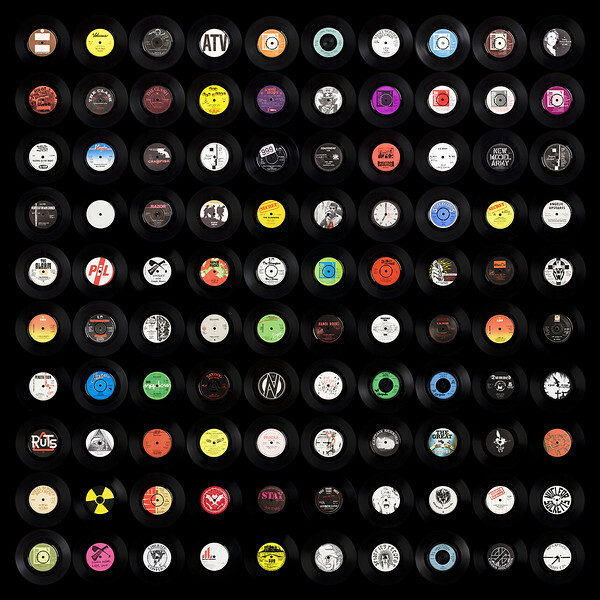 I don't have a deck anymore but I thought the vinyl itself was interesting enough to make an image.